Love it! You've totally inspired me to try some nail art for myself! 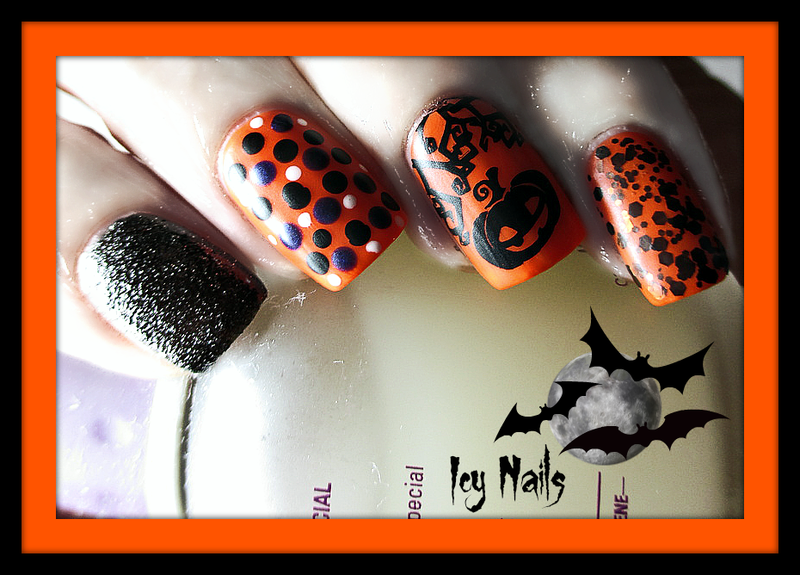 That orange and black pumpkin nail is awesome! Love it! Steroids landed me in the hospital for six days this summer. They are not trivial. Best of luck and healing wishes! I love the vampire effect! I already told you I love the mani but now you've also sold me on PicMonkey! That's awesome! You are so good at it! This is so awesome and yes, I totally agree with you about Pic Monkey - it's such a great service and I only use the free version, too. I'm sold on stamping - must get some supplies. The dots are my favorite!